Looking to advance your career? Bank Owned Property, Been Sold As Is. Nice Size Cape In A Residential Area. Spacious 4 Bedroom, 2 Baths. This Home Offers Endless Possibilities For The New Owners. Listing information provided courtesy of Town & Country Homes of LI, Inc.. Real Estate listings held by brokerage firms other than Town & Country Homes of LI, Inc. are marked with the Broker Reciprocity logo and detailed information about them includes the name of the listing brokers. The source of the displayed data is either the property owner or public record provided by non-governmental third parties. It is believed to be reliable but not guaranteed. 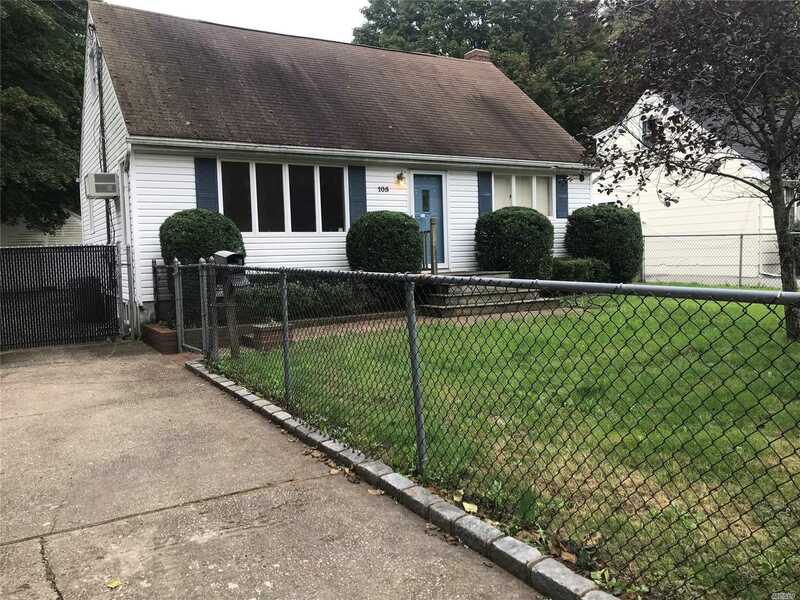 Information Copyright 2019, Multiple Listing Service of Long Island, Inc.